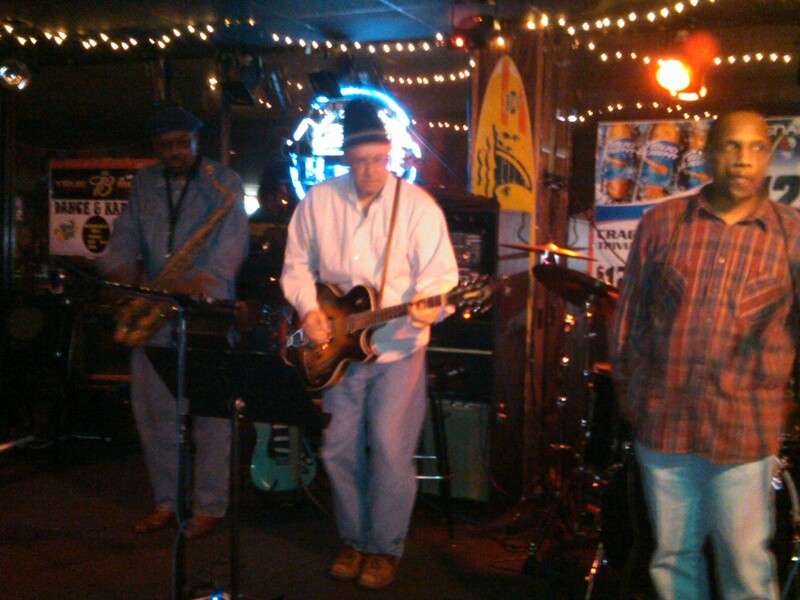 BLUES JAM WITH THE POSSE! All I ever wanted to play was the blues….so i did. Or did I? When I listen to real blues players it just moves my soul – the feel, mood, arrangement, simple but yet effective. For me it was the easiest way to learn a few chords and keep content all day….riff after riff. Musically speaking, it’s my foundation. Like the great songwriter Harlan Howard said: 3 chords and the truth! So writing a song or playing a solo, that approach always works. Never fails. As a kid just watching someone tear up the fretboard in person right in front of me was inspiring to say the least – they made it look so easy. Like when my brother & his friends would stop by for an impromptu jam session (and laundry) they just blew me away. Looking back they were just average players but they had attitude, mojo & vibe. All I wanted to do was play like them, even grow my hair long and play old crappy guitars through modified TV sets. They had old little practice amps of course, but I’d see Eddie on occasion plug directly into the TV set? With his feel, he could make that small speaker in the TV sing. He’d even run it through a MXR distortion pedal and completely mesmerize everyone within earshot. So by the time they packed up the guitars, finished smoking all their cigarettes, and gathered what was left of the wine……this kid was left absolutely stunned thinking…..did this just happen? Were these Blues gods here in my basement…. Live? Even if Clapton and B.B. King were jamming that day in the basement it wouldn’t of made any difference to me. The feel & soul screaming out of those amps was contagious. Those guys made such an impact on me that still today I ask myself – “what would Eddie say about my solo or song”? “would Boda approve of my slide playing”? “will my bass playing & lyrics find their way into Mike’s trash”? No matter, I’m forever grateful for those guys and what impression they left on me. So why am I writing Country, Pop, Instrumentals, and Rock & Roll songs and not strictly Blues? Probably because the Blues taught me to appreciate the feel of any great song, solo or lyric, no matter what style. You should be able to feel it in your soul instantly. I’ll forever appreciate what my mentors taught me. I’m still very much a student in this thing called music. Learning everyday. God willing, I hope to share my experiences with other players & writers like brother Mike, Eddie and Boda did for me. Their groove was timeless. It was more than just a lifestyle or profession – but a real passion, a God given gift to be shared with the world- not to be buried in the backyard next to the family dog. No matter what our talent or skill level, passion will keep writing itself within us- if we allow it. So let’s keep playing those 3 chords & write the best lyrics possible with complete honesty and watch what happens. We’ll all be better people because of it. Til next time friend…..keep grooving forward!